Again and again we see it: it seems as if the top priority for the establishment media all over the West is to make sure that no one gets a negative view of Islam, no matter how high the jihad body count rises, and no matter how many people such as Rahaf Mohammed give eyewitness testimony to the oppression of living under Sharia. The story of Rahaf Mohammed, an 18-year-old Saudi girl who has become an international media darling for her flight to the West from “persecution”, aired by Swedish national broadcaster SVT has made Swedes see red. 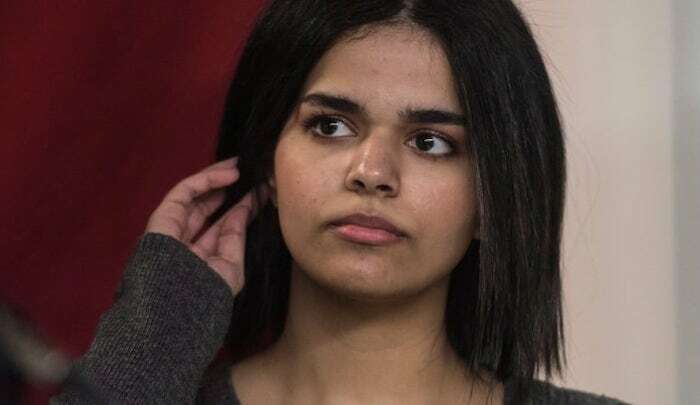 In their piece on Rahaf Mohammad, the Saudi refugee girl who claimed to have suffered “abuse” back home due to her non-conformist behaviour, SVT omitted the reference to Islam, triggering many Swedes’ ire. However, SVT‘s translation left out the Islam reference completely, with words “Islam” and “haram” (“forbidden” in Arabic) conspicuously absent from the subtitles, despite clearly being uttered by the teen. This mismatch was first observed by Sweden Democrat politician Kent Ekeroth, who compared the Swedish translation with the original English subtitles and summed up his findings in a piece in the news outlet Samhällsnytt, raising suspicions about state-sponsored censorship…. ​Others ventured that SVT‘s handling of the news content in accordance with its so-called “value base” was tantamount to “fake news”. Yet another recurrent theme in the comments was that Sweden had allegedly “caved in” for Islam…. Australian TV reports shielded Islam yet again in their coverage of this story. Although they referred to her fear of being killed and her stating this was due to her renouncing Islam they wound up the story as having drawn the world’s attention to the suppression of women in Saudi Arabia. If the story reflects badly on Islam suppress that and find another protected group of victims, I.e women, as being a kafr or infidel does not constitute being a victim. This teen played the world and Canada lost. She was country shopping in a new way and the gullible out there took it hook, line and sinker. She used social media to its ultimate advantage and countries fell over themselves plying for her to consider them. she played every country interested off against each other to get the best deal under the guise of being an asylum seeker. Australia won when she picked Canada, let the Canadians pay for her upkeep and protection for the foreseeable future. She play the lot of you!